The Raven Boys is a book I'd had on my wishlist/tbr since before it came out. Honestly I cannot believe it's taken me this long to get to it and now that I've read it, I'm even more shocked that I even waited at all. 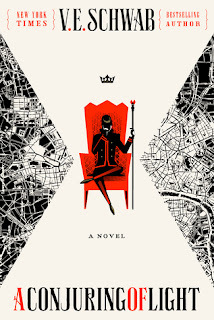 I devoured this book, when I wasn't reading it I was thinking about it and now that I've finished it the characters and their adventure have taken up permanent residence in my head. I'm left wishing I could disregard any and all review copies to read the sequel right this instant! The Raven Boys starts off by introducing us to it's main characters. Firstly, there's Blue which I connected with straight away. Blue is funky and offbeat but she's also mature for her age and has a good head on her shoulders. She's been surrounded by actual psychics her entire life but as a non-seer herself, she's clearly had a very unique upbringing but she manages to have a level head, even when it comes to romance! She isn't prone to stupid decision making and she wasn't quick to be taken in by the Raven Boys. Yeah, I was impressed and it made me love her even more. She's also really brave and kickass without being too showy or angsty about it, which was a plus. Then there's the actual Raven Boys, a group of boys who all attend Aglionby, a very private boarding school. Getting familiar with the Raven Boys instantly grabbed my interest. Each of them were fully developed, complex and although they all had their flaws, they were extremely likeable. The best part of it all though was their companionship and loyalty to one another. There's Adam who attends Aglionby on a scholarship and doesn't quite fit into the rich crowd that surround him. There's Gansey, the clear leader of the group - and the heart of it as well. Gansey didn't win me over right away with his blue-blood and smooth words but I'm not sure he was meant to. I kind of felt akin to Blue when she first met him and then he slowly won me over...as he did with her. Gansey is an old soul and a young and gorgeous body, if he doesn't make you swoon at some point in this story, well, I'm not sure what to tell you. Another of the Raven Boys is Noah, who's much more mysterious than the other boys. You don't get to know him as quickly as the other boys but when you do: woah! You will be blown away! His is easily one of the most compelling backstories of the lot. And finally there's Rowan. Rowan is dark, tortured and angry. Rowan has buzzed hair and a tattoo. Rowan lives dangerously and doesn't take sh*t from anyone. And of course, Rowan won me over without even trying. The ending of this one has me mystified where he's concerned which makes me even more excited to get into The Dream Thieves. I freaking love the guy! The pacing for The Raven Boys is not your typical YA paranormal/fantasy fare. Because this is such a character driven story, a lot of time is dedicated to getting to know Blue and the Raven Boys along with the relationship dynamics that exist between them. I'll admit, this was one of my favorite aspects of the entire read. I love action as much as the next person, and yes sometimes when there's not much going on I can get bored...but this was something else. 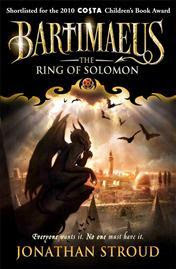 I was engrossed in the way Maggie Stiefvater revealed these rich characters and the ties that bind them to one another. I reveled in how Blue and the boys met and how they all became a part of each other's lives; slowly and properly - the way things tend to happen in real life. Ah! It was sooooo satisfying to witness it all unfold! That's not to say that the action was lacking though - honestly it was a perfect balance of intrigue, action, and the supernatural. It all worked so well together though that already I feel like this story has always been a part of me. Rowan won me over without even trying too Micheline!!!! I'm a complete sucker for the dark and tortured ones, they just make me fall in love with them every single time. I still need to read book two, I've heard it focuses a lot more on him and I can't wait! We'll have to compare notes:) This is a gorgeous review, I'm so glad you enjoyed this one as much as I did! Everyone - and I mean EVERYONE - I've talked to even those who rarely read YA seem to love this book. I've had it on my list forever and sounds like I really need to start it soon! OK, so where do I start?! *Brain overloading on Raven Boys awesomeness. Warning: rambling comment ahead* First, THANK YOU for using THAT cover in your review! ❤❤❤ I'm thisclose to buying the paperback just so I can own that cover. 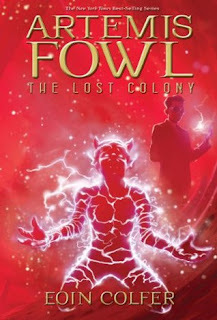 "I devoured this book, when I wasn't reading it I was thinking about it and now that I've finished it the characters and their adventure have taken up permanent residence in my head." That was my EXACT reaction when I finished this. Like, I'm not even joking. The writing is so, so, so beautiful, and the depth to Blue and the boys' characters: AAAHHHHHH!!!!!! And just when you think there's no topping this book, wait until you read The Dream Thieves!!! Bahahahah oh gosh, this comment WINS so hard Lee ♥ Yeah I much prefer this cover too, thank YOU for having such good taste when you sent it along!! The writing is beyond stunning and the characters LEPT off of the pages and lived inside of me, I swear. I can NOT get over how much I loved this book so I'm almost scared I'll be drowning in feels with The Dream Thieves!! I have to read this. The pacing and angle intrigue me. I have only read The Scorpio races and I understand that that was very different from her other stuff. My co-blogger LOVES Maggie Stiefvater. I really need to get around to reading this series. Awesome review. I'm glad to see I wasn't the only one who was late to the Rave Boys party ;-D Thanks hun! I don't know WHY I haven't read this series yet. I so need to get it! I hope you DO get to it soon Nicole and that you'll LOVE IT!! Completely agree! I'm more of a Gansey fan but my co-blogger likes Ronan too ;) I really can't believe how complex yet easy to get into these are. I hope you like the next book too! So many twists to look forward to! I had to warm up for Gansey as well. Noah was so interesting, I loved Adam right away and Ronan was immediately a fascinating figure. Wait for The Dream Thieves, that is mostly about him :D Blue is just fantastic! I'm glad I'm not the only one. I really feel like we were meant to need to warm up to Gansey as we got to know him better. I liked Adam right away too and I agree, Noah was fasinating. And yes I have so much love for Blue :-D I've heard Dream Thieves is all about Rowan so of course I'm even more excited now! Eeep!! There's nothing I love more than rich characters! I can't wait to try this one out; I loved The Scorpio Races so much! I agree with you 100% Danielle so I'm excited to see what you'll think of this one when you check it out! I can't wait to read The Scorpio Races myself :-D thanks for stopping by! No problem! I'll be reading this one this week I hope! Try the Scorpio Races as soon as you can; I totally loved it! Ooooh for real?! Now I'm really pumped for you :D I'll definitely be giving The Scorpio Races a go asap!! 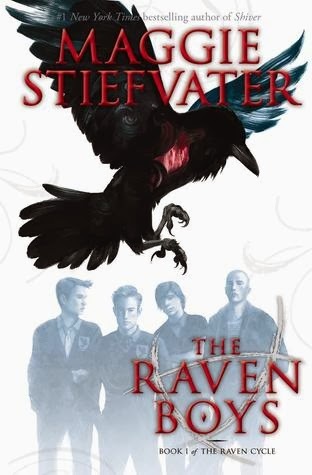 I loved The Raven Boys as well, and I'm not usually a para reader at all - which tells you just how universal Maggie Stiefvater's writing and themes are. My personal favourite Raven Boy was Adam, although, like you, I kind of got into Gansey as the book went on. I admit that I was kind of taken back with what happened to Adam at the end, and I still haven't gotten to The Dream Thieves so I'm curious to see where Stiefvater will take that. I'm actually feeling a little bit jealous that you have read this because I have been wanting to read this since it came out, as well!! I can't believe I have never found the time and I KNOW I will be regretting it the moment I finally get the chance to read it, like you did. The Scorpio Races marked my first ever Maggie Stiefvater read and I cannot recommend that one highly enough. The way you describe her characterization is pretty much exactly what I remember feeling about the characters in The Scorpio Races!! (Except you put it into words better than I ever could). Eek okay OKAY I NEED TO READ THIS!! I really hope I can get to it this summer. And I also hope you can find time to read The Dream Thieves soon in time for book 3! This was a fantastic review that somehow made me even more excited to read The Raven Boys, which I didn't think was possible!! I read this last summer and was, like you, immediately consumed! These are seriously the best books, and lucky you get to read the second one soon and the third book is out in not too long! I actually loved Gansey from the beginning, for some reason, and he's even better in book 2! Ah, and SO MUCH RONAN in The Dream Thieves! You're going to love it! :D Great review! The characters and this world just take over your life! I'm extremely eager for more Rowan in The Dream Thieves..and more Gansey to be honest ;-D I'm hoping I can get started on it SOON! Thanks for stopping by Rachel!! I came back to read your review for this one, after I saw your glowing praise for Blue Lily, Lily Blue. I see this series all the time, but I've never picked it up - I don't think I could even have told you what it was about really! I love your review - this is finally going on my TBR list ;) I've only read The Scorpio Races by Stiefvater so far but I really enjoyed that, so hoping I'll love this too! The world and the characters sound so exciting.